On January 1, 2016 we had our annual Polar Bear Run. 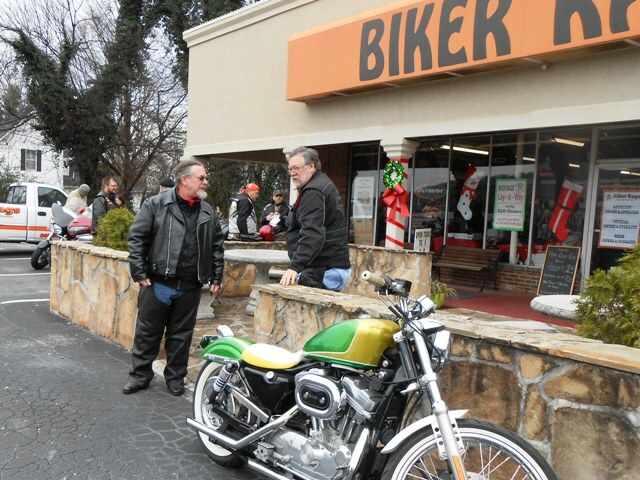 Twenty-seven bikes and thirty-five people joined us in kicking off the New Year with a scenic motorcycle ride. 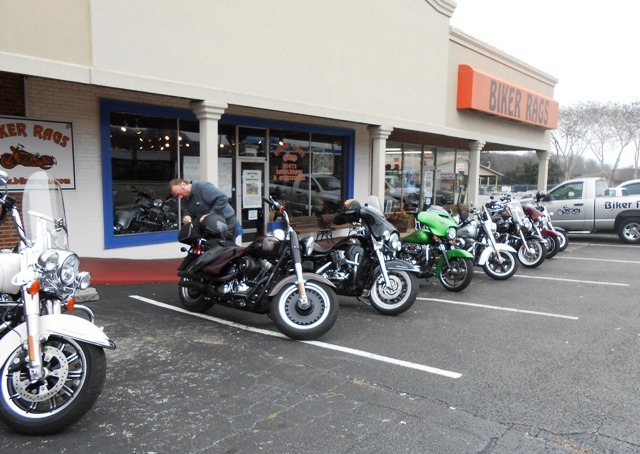 We all met up at Biker Rags for free pizza at noon, then got ready to start our ride at 1pm. A huge THANK YOU to everyone who joined us on our 2016 Polar Bear Run! Everyone enjoys chatting with each other. Jeff talks about the route. And everyone listens for ride instructions. 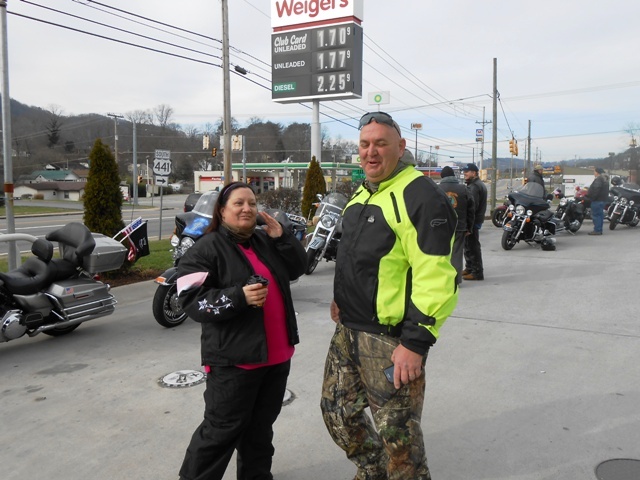 Midway through the ride, we stopped at the Lake City (now Rocky Top) Weigel’s. Ride stops are always a good time to meet and greet. 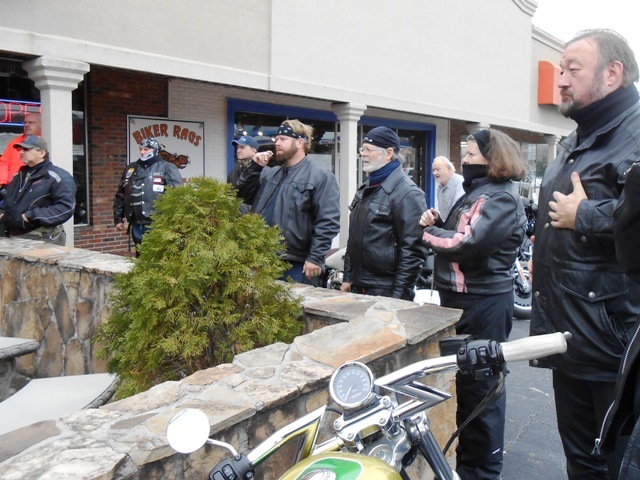 More chatting among the bikers. 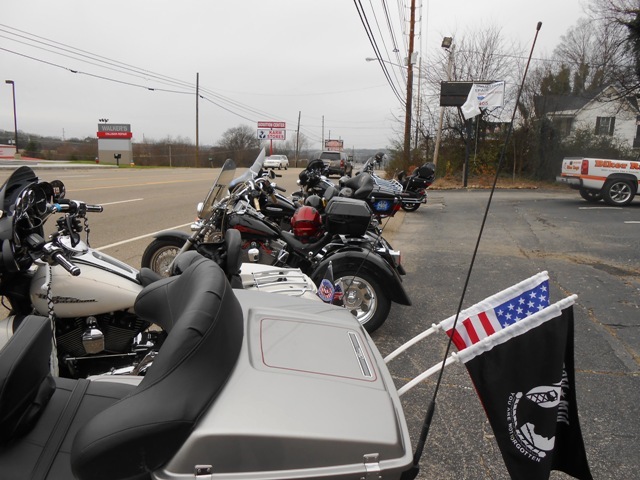 Thanks for riding with us today! 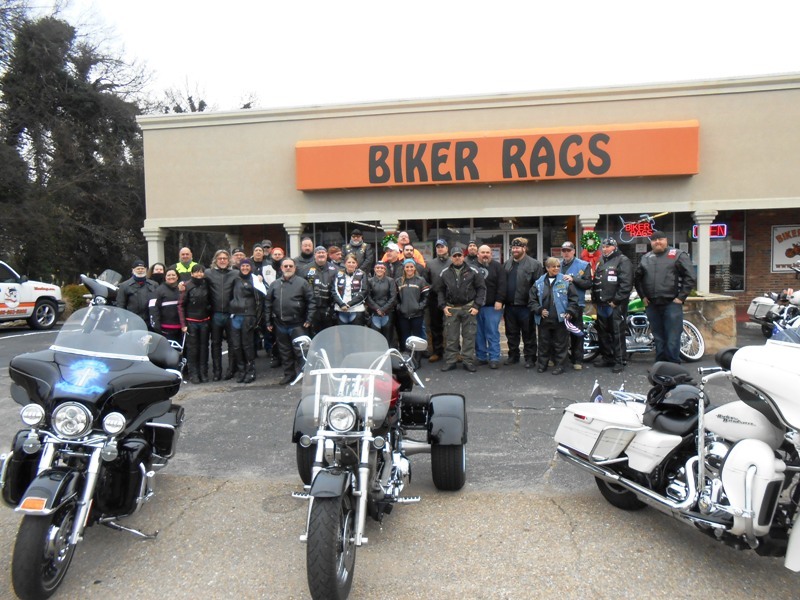 The ride left Biker Rags at 1pm. 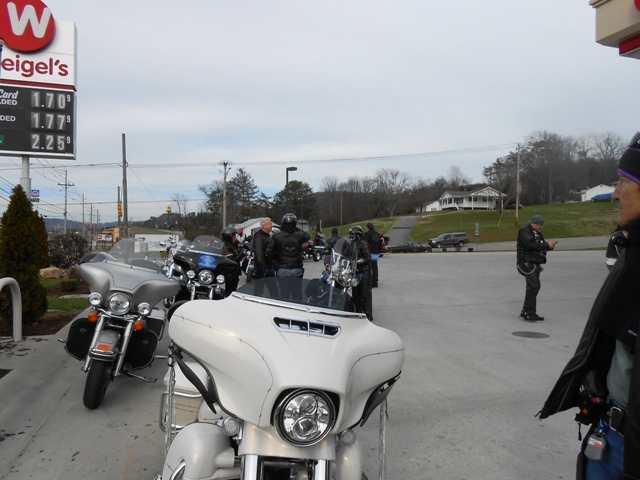 We took Pellissippi to Edgemoore, to Norris Freeway, to Norris and over Norris Dam. We stopped at the Weigel’s in Lake City. 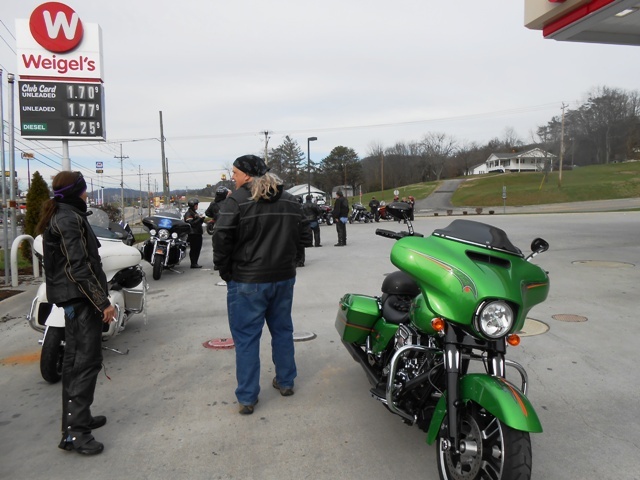 From Lake City, we traveled 116 to 330 to Oliver Springs. 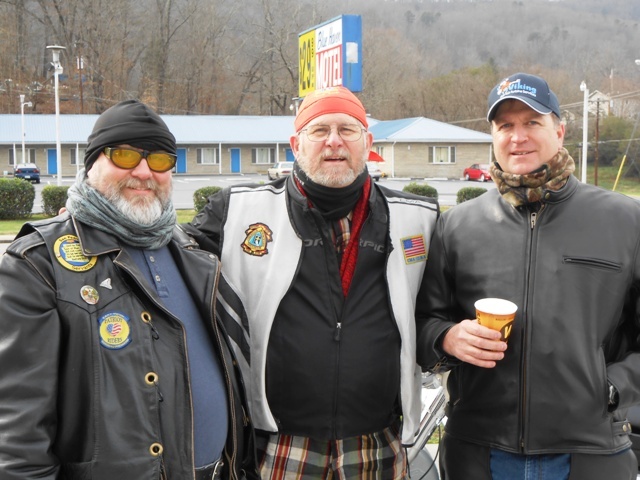 Then took 61 to Clinton Highway, to Melton Hill, to Edgemoor and back to Pellissippi. 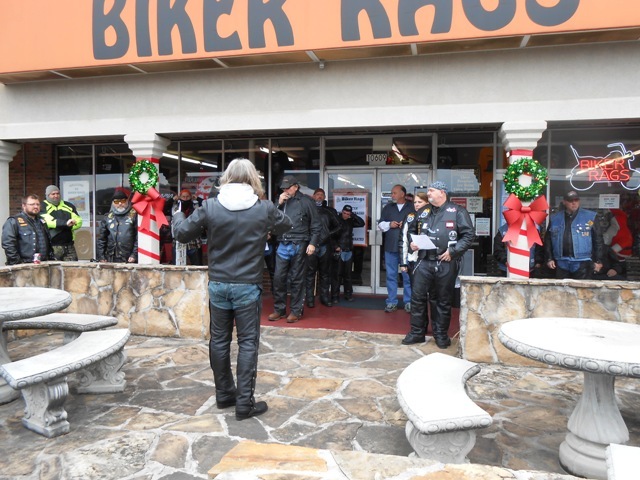 Then arrived back at Biker Rags around 3:45pm. The ride was 90 miles. 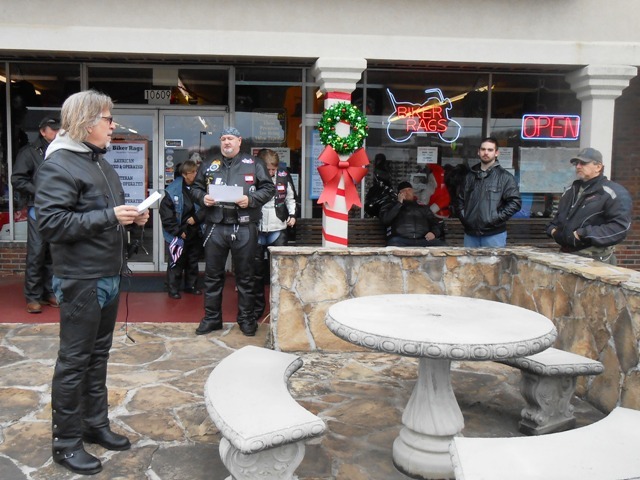 What a great way to kick off 2016! 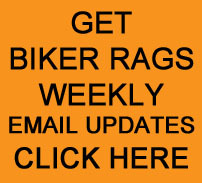 This entry was posted in Polar Bear Ride and tagged 2016, Biker Rags, Polar Bear Ride. Bookmark the permalink.